The crocuses are flowering in our yard, and daffodils will soon follow. They’re early because of this year’s warm winter. 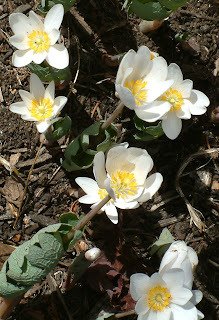 But what about native flowering plants, like red trillium, bloodroot (pictured), and trout lily? 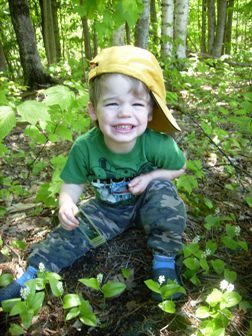 Such plants can teach us—and our kids—important lessons about climate change, according to organizers of the Appalachian Mountain Club’s Flower Watch program. The trends in flowering times for native plants, when followed over a number of years, provide insights into larger changes in our environment. And citizen scientists can help monitor the pace of change by gathering data about local plants. Sound intimidating? It’s actually as easy as going for a walk in the woods with your kids. Bring a simple checklist of local flowers to look for, and record your observations on citizen-science data forms, which come with a more detailed guidebook. Once you’re back home, you can upload your findings. The Flower Watch program is looking for reports from AMC’s entire region, from Maine south to Washington, D.C. If you’re in northern New York, New Hampshire, Vermont, or Maine, you might be looking for hobblebush, bunchberry, and blue-bead lily instead of the flowers on my list in Massachusetts, but the basic method is the same. If you find yourself with a rainy day or too little time to get to a trail, the website includes materials for kid-friendly activities you can do at home, including printable flower cards that are great for matching games and a booklet about flowers that includes space to draw flowers and fruit you find in your house or backyard. * And impress your friends! If you and your family—or your scout troop or school group—get hooked, you can even sign up to adopt a peak or trail section, providing repeat data throughout the spring and summer.